The gaming world has seen a major shift with the current generation. The days of old where gamers dined mostly on big budget AAA titles are no more. The AAA titles are still here of course, but the bite sized indie scene has exploded. A newfound ease of entry into the development world has led to an unprecedented number of small studios diving in. This climate of creativity has led to a myriad of new experiences. However, if you ask Ninja Theory, they would say that this has led to gamers having a choice between AAA games with high production values, or small but creative titles where production suffers. And precious little else in between. This development “no-man’s land” is where Ninja Theory is carving out their niche. With their self made label of “Independent AAA” they aim to create a blend of a creative, small studio that won’t compromise on production. 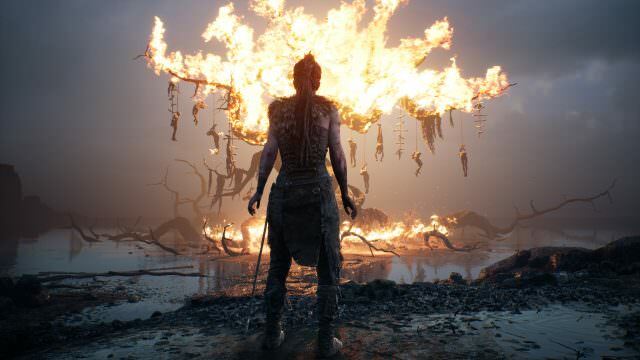 Their upcoming title Hellblade: Senua’s Sacrifice is the end result of this vision. Players will experience the world of Hellblade as Senua, a Celtic Warrior struggling with mental illness and the trauma of some recent carnage courtesy of a viking attack. In all aspects of her particular reality, her worst fears have come to life. From the word “go” every reveal has shown a character in deep anguish as she faces her unique living hell. As Senua, the world may be more than a first glance suggests as visions and psychotic manifestations take control. The environment helps weave Senua’s tale through pervasive reminders of chaos and destruction. A raw elemental atmosphere is notable throughout released art and video. Heavy doses of woodland areas have been shown with rain, falling leaves and perhaps the odd bit of ravenous flames. Additionally, wind, sun and flickers of lightning are a few elements that breath further life into this digital realm. The wreckage of viking ships and an ominous looking tower stand out in the imagery Ninja Theory has shared thus far. Despite being obvious focal points, these reveals never feel out of place. And you might have noticed the large tree engulfed in flames with corpses dangling from the branches in various promotional materials. Players shouldn’t expect any of the above to remain completely static mind you. A key aspect of Senua’s world will always be what her psychosis brings to the table. A ripple of water, or a shift in the branches ahead could reveal a hidden countenance and maybe so much more. Antagonists follow suit with hellish designs inspired by a melding of real world inspiration and the haunted mind of Senua. Soldiers with skull visages leer from concept art. A giant beast whose exterior bears no small resemblance to a titanite slab towers over Senua in another (I probably won’t be trying to decipher the runes on this one). Brutes, apparitions and nightmares in between promise to populate the land/mind-scape of Senua’s world. For anyone familiar with Ninja Theory, combat gameplay will look somewhat familiar. 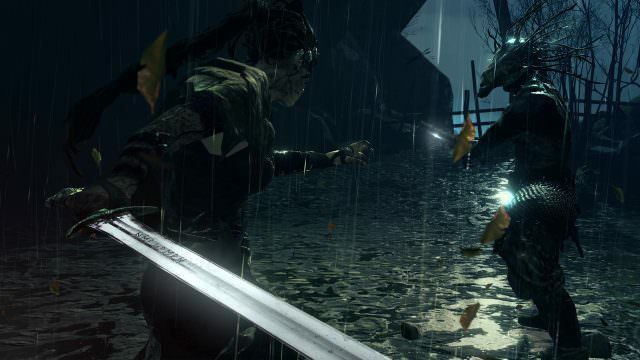 An emphasis on fast and fluid attack animations lends itself to the label of “hack ‘n slash.” While this is a fair assessment to some degree, this label generally comes with a sub-context of “arcadey.” In Hellblade, the extreme amount of detail in character and enemy design distances this game from the usual arcade look. Creating further distance from the “arcade” label, developer diaries have a noted absence of aerial maneuvers from Senua. 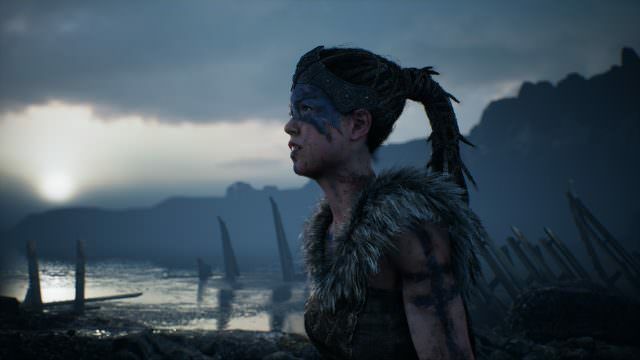 Overall, Hellblade seems to be promising a combat experience that supports the gravity of the protagonist’s grim existence. Ninja Theory has characterized the Viking antagonists as larger and more powerful than Senua, who will rely on skill and cunning to persevere. From what we’ve seen, Senua is typically the fastest thing on the screen with graceful (yet vicious) movements. Enemies and their attacks often have a much greater feeling of weight, which is apparent when they (unfortunately) connect with Senua. The term “bone crunching” is not only fitting, but quite nearly felt by the viewer. Don’t be alarmed by what sounds like a few changes when compared to past Ninja Theory titles. 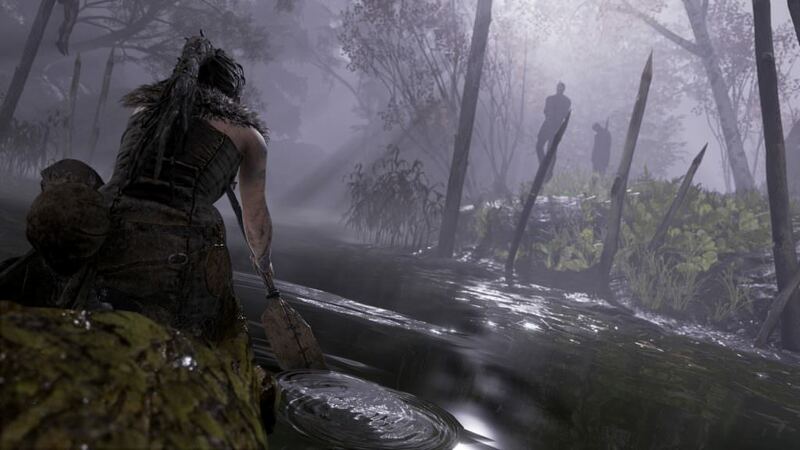 Diary videos show a robust moveset from Senua with variable tactics, counters and combos. It’s a realistic setting, but there are fantasy elements because the main character is hallucinating? I’m not sure how to take that. If there’s one of those old "you accidentally an entire village" scenes, then I’m out. Realistically portrayed mental illness is less common than it should be. If they can manage it, then I suppose that’d be worth it by itself. Fingers crossed. There’s a few comments on it from the lead actress (who is also the Ninja Theory employee whose job it is to create the diary entry videos among things) in this video entry. This is also a really good look into how they’re creating the character.